There are very few sea turtle rescue centers in the United States, and they are located exclusively on the Gulf and East Coasts (with the exception of Hawaii). 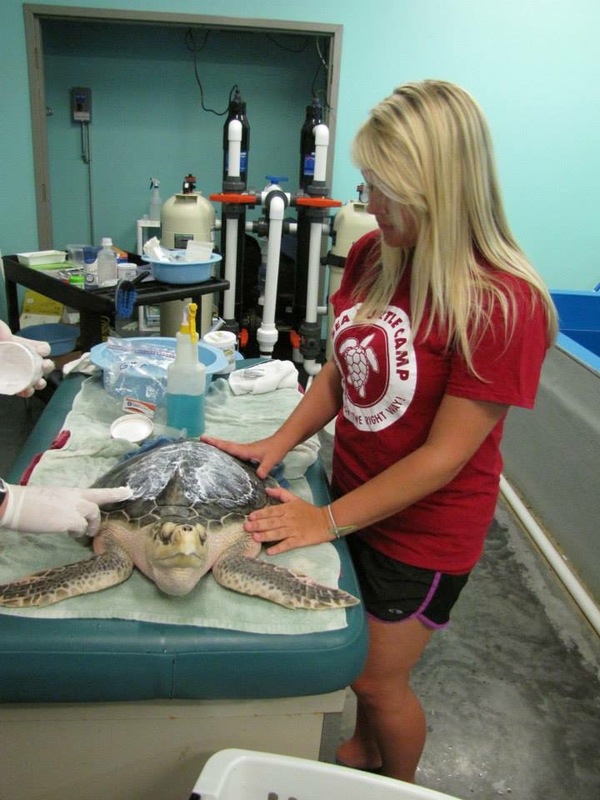 These facilities have several responsibilities – from taking in sick and injured sea turtles, to performing necessary medical treatments, to educating the public about these endangered species. While each center may do things a little differently, the ultimate goal is to rescue, rehabilitate, and eventually release the turtles that come through their doors. Rescue centers do it all, and run (almost) exclusively on the help of a dedicated team of volunteers. For folks located in the Wilmington area, our go-to facility for all things turtle related is the Karen Beasley Sea Turtle Rescue and Rehabilitation Center. Founded by Jean Beasley, the Karen Beasley Rescue and Rehabilitation Center has been in operation for over 20 years and continues to be one of the most dedicated sea turtle rescue centers in the country. With the exception of the veterinarians who diagnose and treat major injuries, this particular facility is run exclusively on volunteers – even Jean herself! Giving time to a sea turtle rescue center is going to give volunteers the most hands-on experience. This is one of our favorite things to get involved in. 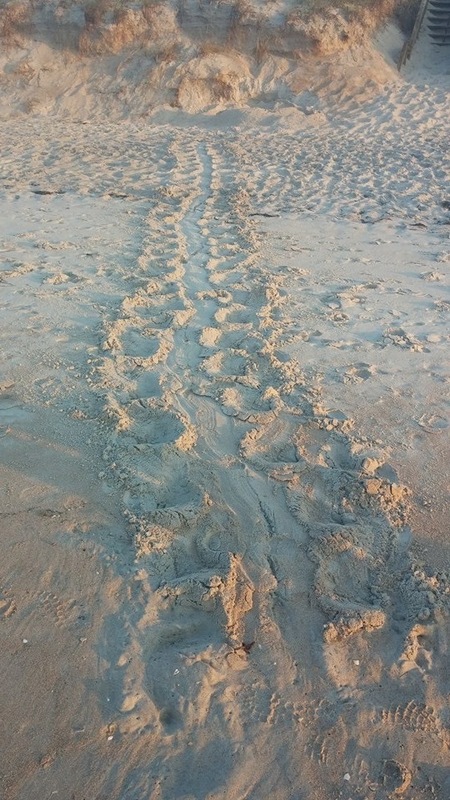 These sea turtle networks vary from beach to beach, but have the same general premise: walk the beach each morning to find new sea turtle nests. In North Carolina, sea turtle nesting season starts in May. This means that each morning, a group of volunteers are each given a stretch of beach (on beaches all up and down the North Carolina coast!) and are asked to walk along the shore looking for sea turtle tracks and body pits (a pile of sand pushed away where the sea turtle hopefully created a nest). If one of the nest-walkers happens upon a new nest, a separate team of volunteers will come out, locate the nest, count the eggs, and move the nest higher on the beach if there’s any concern of it being covered by the tide or hurricane surge. Although sea turtles live in the water, their eggs actually must remain dry for the entire duration of their incubation! These same groups of volunteers also “nest sit” at the end of the incubation period. The average incubation period for a sea turtle nest is 90 days – so if we know when the eggs were laid, we have a general idea of when they’ll hatch! When the expected hatching date draws near, the same group of volunteers sit out at the nest at night (when sea turtles tend to hatch) and wait for the nest to boil. When the nest finally boils, the volunteers are there to make sure the hatchlings make it to the water safely, undisturbed by predators or humans. To get involved with the Topsail Island Sea Turtle Nesting Program this summer, head to the Surf City Welcome Center on Wednesday, April 5th from 1-3:30 PM or Wednesday, April 12th from 6-8:30 PM. One of the most under-appreciated groups of volunteers are the ones who aren’t affiliated with a particular group and may never actually see a sea turtle in real life or in the wild – our everyday beach patrons. Sea turtles face a lot of difficulties in their lives – hatchlings have a plethora of natural predators and don’t reach sexual maturity until they’re nearly 30 years old – but we have the capability of making a difference each and every day. What are some things you can do to help? Pick up trash at the beach even if it isn’t yours – one in every four sea turtles is found with marine debris in their stomachs! If you dig a hole on the beach, make sure to fill it in. Sea turtles get stuck in man-made holes on the beach all the time! Reduce your plastic use – especially single-use plastics. There’s a good chance it may end up in the belly of one of our flippered friends! Each and every one of us has the capability of making a huge difference! 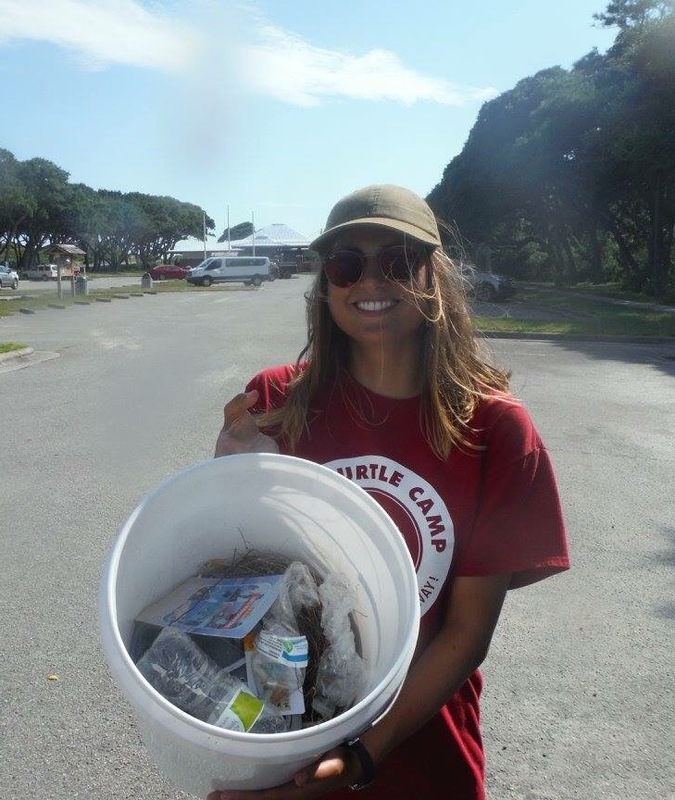 Join us at Sea Turtle Camp this summer to not only learn how to become a good steward of the ocean, but volunteer with the Karen Beasley Sea Turtle Rescue and Rehabilitation Center and the Topsail Island Nesting Program as well!